We would like to extend a big warm Cayman Islands welcome to the visiting teams who are taking part in this year’s Cayman Airways U13 Invitational Youth Cup. When you arrive in Grand Cayman you will be discover what we like to call CaymanKind, and you won’t fail to fall in love with our balmy weather, beautiful beaches and the friendly and helpful folk that live here. There is a relaxed, laid back atmosphere across the island but with an underlying buzz of activity as there is always something new to do. Grand Cayman is located in the western Caribbean about, 460 miles south of Miami, Florida, and 167 miles northwest of Jamaica. Part of the Cayman Islands, Grand Cayman is the largest of the three islands which also include Cayman Brac and Little Cayman. • Seven Mile Beach – immerse yourself in the beauty of seven mile beach. 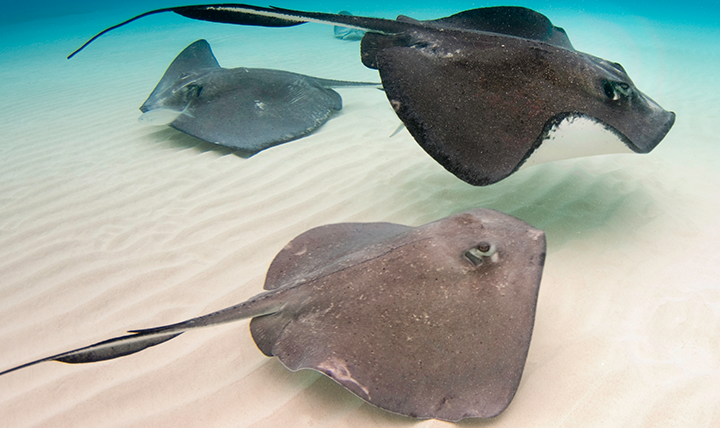 • Stingray City – get up close and personal with wild stingrays. • Cayman Crystal Caves – explore the incredible stalactite and stalagmite formations in ancient caverns tucked away in the forest. • Cayman Turtle Centre – meet some Green Sea Turtles at this world renowned attraction centre. • Tortuga Rum Company – taste traditional Caribbean rum and award winning rum cake. • Dolphin Discovery Grand Cayman – swim with dolphins and many other activities. Click here to discover more about Cayman Islands.